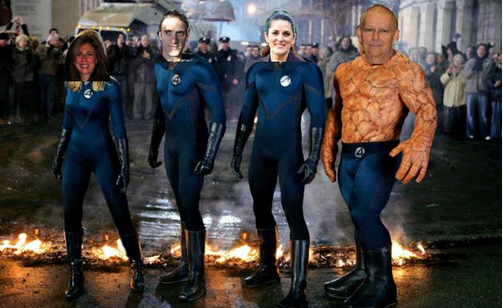 Each week I look forward to the inspiring buzz I get from #ESNChat and I’m excited to join the team leading #ESNchat. If you’re new to #ESNchat, it’s a weekly Twitter chat founded by Jeff Ross in September 2013 for those interested in Enterprise Social Networks (internal social networks for employees of businesses). The topics covered are primarily of interest to ESN community managers, but anyone with an interest in ESNs is welcome to participate. For the last two years I’ve always gotten a lot of value from the chat and it was a pleasure to have guest hosted last year’s Risk topic. Honestly, the hour flies by and when the chat is over I always get a rush of ideas and a new, valuable perspective on how to approach the future of work, business of community management and enterprise social. #ESNchat is also a great opportunity to connect, share your experiences and learn from others who are managing ESNs at their company. You can check out the archive of topics here and here, and I hope you can join us today for this week’s topic: Holiday #ESN Do’s & Don’ts. The chat is held each Thursday from 2-3pm Eastern Time (except major American holidays). While the scheduled chats are weekly for one hour, the conversation never ends as we invite you to share thoughts and article using the #ESNchat hashtag in your posts. Here’s how you can participate. Join the #ESNchat on tchat.io and take advantage of the user-friendly interface there. Use the Twitter tool of your choice (such as Tweetdeck.com, Hootsuite.com, Nestivity.com or Twitter itself) to view a stream of tweets in real time that contain the hashtag #ESNchat. 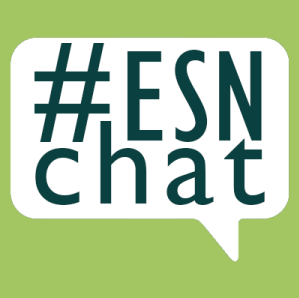 Follow @ESNchat on Twitter for updates regarding the chats and for discussion questions during the chats. Questions will be posted at regular intervals by the moderator during the scheduled chat. Answer questions, engage in conversation, retweet, learn, and have fun! Thanks for spreading the news and I’ll see you in the chat!